On Friday, April 14, EKU Aviation students will be dressed to impress and ready to interview. This year, 2017, is the Second Annual EKU Aviation Career Day - nearly a full day of interviews and networking with aviation industry professionals from around the country. Last year, students were interviewed by ExpressJet Airline recruiters for First Officer pilot jobs, which really highlighted EKU Aviation achievements and successes. EKU's partnership with regional airlines gives professional flight students the opportunity to begin airline interviews during their junior year. These carriers include airlines such as ExpressJet and Envoy Airlines. Many have “pathway programs” to not only offer guaranteed interviews, but to also offer guaranteed jobs after graduation. Aerospace Management students will also have the opportunity to network with representatives seeking their talents in aviation management areas. While open to all EKU Aviation majors, the day will also satisfy the BTS 400 - College to Careers Seminar requirement for graduating seniors. Graduating seniors must register for the departmental BTS 400 session in EKU Direct using CRN 24356. The event is scheduled from 9:00 a.m. to 3:00 pm on EKU's main campus. For more information on how to participate, contact Joe Marthaler at joe.marthaler@eku.edu. 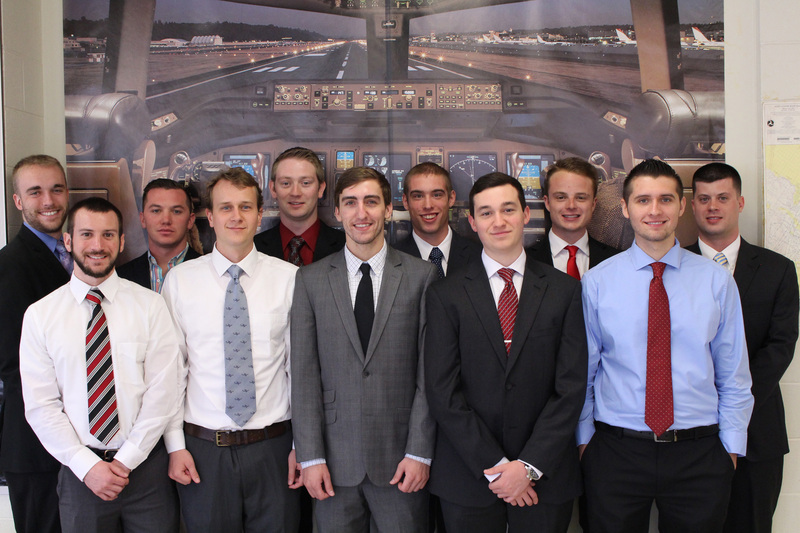 Photo caption: 2016 EKU Aviation Career Day - Back left to right: Sam Elliott, Corey Oney, Lucas Chowning, Matthew Jones, Luke Easley, Eric Jameson. Front left to right: Zach Coffaro, Ethan Jones, Stuart Roman, Jeffery Zotter, Douglas Newman. Find out more about EKU Aviation at www.aviation.eku.edu.